With the birth of the royal baby now rumoured to be two days overdue, royal watchers and the media are focused on a private wing of St. Mary’s Hospital in London for any signs of the Duchess of Cambridge. While Buckingham Palace has not confirmed the official due date for the royal baby, it was widely rumoured to be this past Saturday. CTV’s Melanie Nagy told Canada AM that the British press are keeping a look out for where the expectant Kate Middleton might be, after unofficial reports that she moved to her parent’s country estate to escape the uncomfortably hot weather in London. 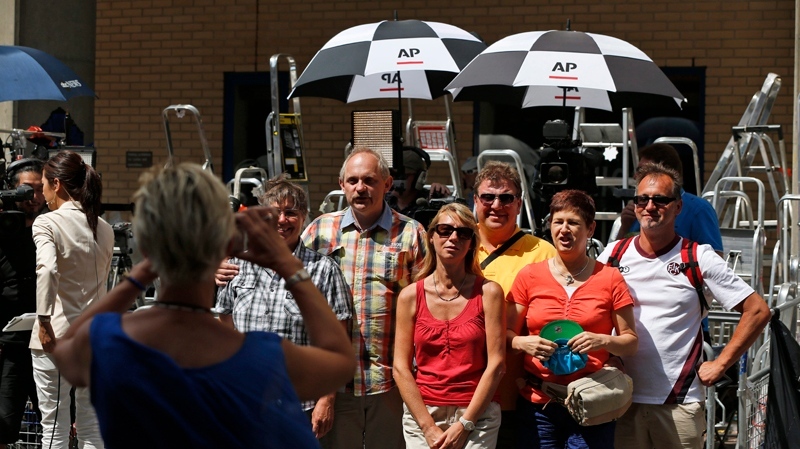 “As for where she is today, that’s the big guessing game,” Nagy said from London. “We wait for word of where she is and wait for her to arrive here at the hospital,” Nagy said Monday. 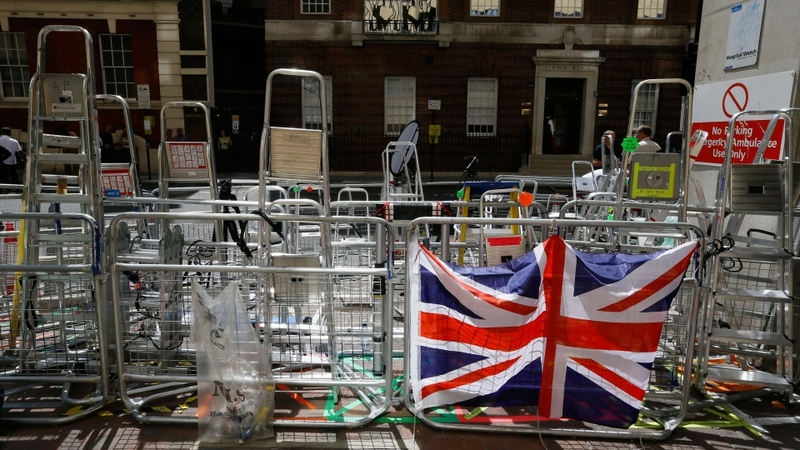 Nagy added that, while the media have been keeping watch outside the private Lindo wing of St. Mary’s for approximately two weeks, tourists are now also starting to flock to the hospital for a glimpse of the birthplace of the future heir. The child, Prince William’s and the Duchess’ first, will be third-in-line to the throne. 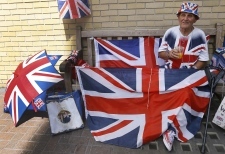 Accompanying the anticipation of the royal birth are the requisite royal memorabilia and souvenirs, Nagy said, adding that the sale of royal-baby themed souvenirs has “really picked up speed” in the last week. Royal-baby themed items for sale include onesies, soothers and special biscuits in a royal-baby biscuit tin -- retailing for £40. On Sunday, Prince William took a break from the baby-waiting game and participated in a charity polo match with his brother Prince Harry. 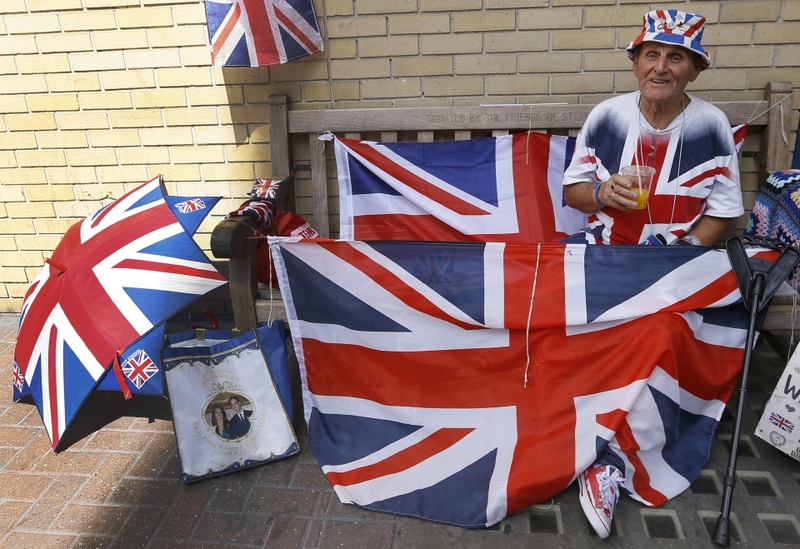 British bookmakers say most people were betting the royal baby would be born this week -- Sunday, Monday or Tuesday. The birth will be announced on a bulletin posted on an easel outside Buckingham Palace. It will also be announced on Twitter.